Tenor saxophonist and vocalist Tony Pastor began playing professionally while still a teenager, working with the Wesleyan Serenaders in the mid-1920s, John Cavallaro in 1927, Irving Aaronson from 1928 to 1930, and Austin Wylie around 1930. In 1931, he opened a nightclub in Hartford, Connecticut, and fronted an orchestra of his own. The group struggled, and in 1934, it disbanded. He toured with Smith Ballew in 1935 and played briefly with Joe Venuti and Vincent Lopez before joining Artie Shaw in 1936, where he remained when Shaw regrouped the following year. Featured by Shaw as both a musician and singer, Pastor became popular for his expressive singing and impish personality. When Shaw decided to quit the band business in late 1939 and run off to Mexico, Pastor was asked to head the orchestra, which was to become a cooperative affair. He turned down the offer and formed his own band instead. Largely made up of ex-Shaw musicians, his second group proved a success. Pastor was both honest and friendly and well loved by his musicians and fans. His sax playing and his vocals were the highlights of each performance. Pastor went all out when it came to buying charts for his book. His orchestra featured some of the most modern jazz arrangements of its time. It outlived almost every swing band, finally breaking up in the late 1950s. The group’s most prominent vocalists, aside from Pastor himself, were sisters Rosemary and Betty Clooney. Other singers included Johnny McAfee, Dorsey Anderson, Kay Little, Eugenie Baird, Virginia Maxey, Stubby Pastor, Johnny Morris, and Dolores Martel. After his band’s demise, Pastor organized a small group that played the Las Vegas circuit. The new band featured his three sons. Pastor became very ill in the late 1960s and quit the music business, living in virtual seclusion for the rest of his life. 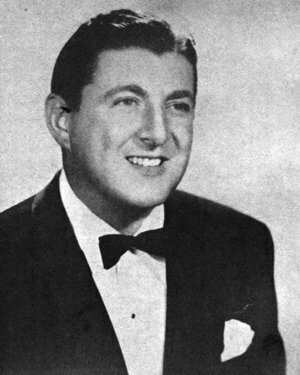 Tony Pastor passed away in 1969.